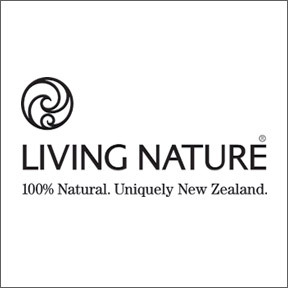 Professional Supplement Center now carries Living Nature®, a Certified Natural skincare and cosmetic line manufactured in New Zealand. Inspired by the healing properties of New Zealand native plants, Living Nature® was founded in 1987 by Suzanne Hall to remedy her own skin conditions. More than 80% of New Zealand native plants are indigenous and contain natural bioactive properties that work in harmony with the skin’s natural functions to protect, repair and nourish without harsh or damaging chemical ingredients. Ingredients sourced from land, forests and seas are chosen for their powerful healing, purifying and nourishing qualities. Living Nature® remains true to its original vision of providing safe, effective, 100% natural products made of native New Zealand botanicals that include manuka oil, active manuka honey and the earth’s finest minerals to promote healthy vibrant skin and natural beauty. Every harvest of raw natural ingredients is rigorously tested to ensure safety and purity. Each step of product development, formulation, testing and filling is ensured by stringent hygiene protocols. Additionally, products are independently verified and certified natural by BDIH Germany, a globally recognized independent auditor of natural skincare and cosmetics. Their innovative products are naturally preserved with unique New Zealand ingredients that have known antimicrobial properties. All products are free of potentially harmful ingredients including synthetic preservatives, parabens, petrochemicals, phthalates, BPA, artificial ingredients, surfactants and GMO ingredients. Products are never tested on animals. Recyclable packaging is sourced from renewable, managed forests. Packaging and inks are dioxin, phthalate, chlorine and BPA free. Manuka Honey Gel – This proven, top selling product provides effective, soothing healing for acne and blemish prone skin, and natural first aid for trouble spots including insect bites, cold sores and scratches. This potent blend combines antimicrobial manuka honey and manuka oil to protect, cleanse, heal and soothe the skin. Non-GMO product. Tinted Moisturiser Day Light – This sheer natural moisturizer provides just a hint of natural color to keep the skin looking and feeling fresh all day. Active manuka honey provides nourishment, while natural minerals provide a perfect medium shade of color. Non-GMO product. Lipstick Summer Rain – This 100% natural handcrafted pink lipstick is designed to nourish and rejuvenate the lips while providing long-lasting color. Certified natural, gluten free, Non-GMO product. Skin Steps to Nourish Normal Skin – This kit contains Vitalizing Cleanser, Extra Hydrating Gel, Nourishing Day Cream and Firming Flax Serum, all perfectly formulated for normal or combination skin. The products provide skin care with nourishing and protective properties. Ingredients include active manuka honey and harakeke. Non-GMO formulations. Other available kits include Skin Steps to Enrich Dry and Mature Skin and Skin Steps to Purify Oily Skin. This entry was posted in Home and tagged Lipstick Summer Rain, Living Nature, Manuka Honey Gel, Professional Supplement Center, Skin Steps to Nourish Normal Skin, Tinted Moisturiser Day Light, Vitamins and supplements, www.professionalsupplementcenter.com. Bookmark the permalink.